When a person is faced with the possibility of being sent to jail after being arrested for a crime in Van Nuys, the number one most important thing they can do is to hire a good criminal defense lawyer. If you are visiting this website, chances are either you or someone you care about is in need of legal representation in Van Nuys or a surrounding area. Criminal defense attorney Jonathan C. Rosen is fully capable of assessing the circumstances of your case in order to begin representing you to get your criminal charges reduced or dismissed completely if possible. As your lawyer, Attorney Rosen will try to negotiate deals with prosecutors by making arrangements for reduced charges and lesser sentences if at all possible. Because he has dealt with many people in your exact position, he can help you cope with not only the legalities of your case, but with the very human emotions of fear, embarrassment, and insecurity that often result from being arrested and charged with a crime. He will devote everything he can to fighting for your cause whether that means gathering information or evidence, outsourcing for professional opinions and testimony or navigating the justice system as effectively as possible to get you optimal results. Charged with a Crime in Van Nuys? 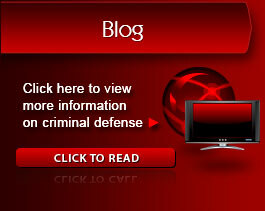 Let a Defense Attorney Help! The firm is a criminal defense law firm dedicated to protecting the rights of the accused throughout Van Nuys and surrounding areas. If you or someone you know has been arrested for, accused of or charged with any type of crime, you do not have much time to consult a defense attorney. Your rights and freedom are in jeopardy, and you must act quickly to help benefit the outcome of your case. Although the criminal justice system is kept in balance by numerous laws, regulations and a defendant’s constitutional rights, there are circumstances where these may be overlooked - either willfully or in error. A criminal defense lawyer plays an essential role in protecting a defendant’s rights and helping to ensure that the justice system serves its purpose. Jonathan C. Rosen is an aggressive, dedicated criminal attorney who has been defending the rights of clients throughout Van Nuys and the surrounding areas in Southern California for almost a decade. His firm is dedicated exclusively to criminal defense, allowing him to build his knowledge and resources in this specific field in order to provide higher quality legal counsel. He is a responsible and reliable attorney who works directly with his clients, returns phone calls promptly and gives his clients the personalized representation they need. In the face of any criminal offense, no matter how minor or serious, a defense lawyer will be necessary to protect your rights and freedom. At the firm, we are here to help you. 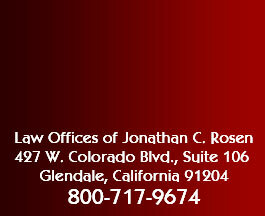 Your initial consultation is always free, and you will meet with Mr. Rosen personally. It is our goal to provide you with the experienced and aggressive legal counsel and guidance that you need so you can face a brighter future – one free from a criminal conviction, imprisonment and a ruined reputation. 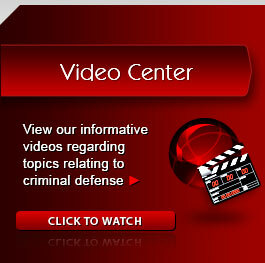 Contact a Van Nuys Criminal Defense Lawyer today.